Nintendo is a name that’s easily recognizable by gamers and non-gamers alike. Throughout its history, the company has produced some of the world’s premiere games and systems, but that doesn’t mean it's immune to the occasional bump in the road. 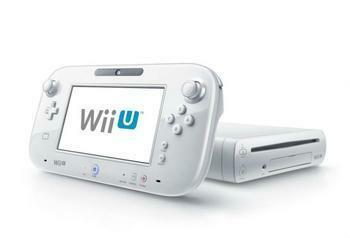 A report by Kotaku shows that the company has plans to end the production of its Wii-U system soon. The gaming device was a bit of a bust commercially, only selling around 14 million units worldwide – putting it behind the Gamecube for the company’s worst-selling console. The announcement made on the company’s Japanese site doesn’t give an exact date for when production will finally end, but rumors have swirled for some time that it could be as soon as the end of the year. Nintendo fans shouldn’t lament the end of the Wii-U for too long, though. The company has plans to release a new console called the Nintendo Switch in the near future. The system will be something new for gamers, who will be able to play it in their homes or on the go. When playing at home, users can place the Switch in a dock that connects the system to a TV for a traditional gaming experience. However, the console can also be used as a handheld gaming system when it’s out of the dock. Joy-Con controllers detach from the handheld device, so users can still get the feel of playing a home gaming system even when they’re traveling. An introductory video that was released by Nintendo late last month can be viewed below. A live streaming event scheduled to take place on January 12 will reveal the system’s release date and price. For those of you craving a more traditional experience Nintendo experience, the NES Classic Edition is scheduled for release tomorrow, on November 11. As we previously reported, the miniature version of Nintendo’s original system will come with 30 pre-installed classic games for gamers to enjoy. This includes titles such as Castlevania, Donkey Kong, Final Fantasy, Galaga, Mario Bros, Metroid, Pac-Man, Punch-Out, and The Legend of Zelda. Nintendo is recommending the console retail for $59.99. The system comes with one classic NES controller, but additional controllers can be bought for $9.99 each. The products will initially be available at Amazon, Target, and Best Buy, but more retailers may be included at a later date.